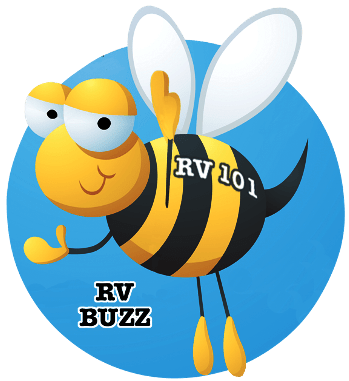 RV 101- Another Dead RV Battery! There are lots of things to remember and to maintain on an RV. Sometimes we tend to overlook the simplest maintenance requirements on our RV. As the old saying goes, you can’t see the forest for the trees. These simple oversights can result in costly repair bills to correct the problem too. I would put RV batteries on top of the list of items that are overlooked. Neglecting to periodically check the water level in lead acid batteries results in an early death. Did you know 85% of lead acid batteries manufactured in the U.S. die before they should? One of the leading causes for battery failure is overcharging the battery. Overcharging a battery results in severe water loss and plate corrosion. This is a common problem for many RV consumers. The converter in your RV has a built-in battery charger and most RV owners are under the impression if you leave the RV plugged in when the RV is in storage it will keep the batteries topped off. Maintaining a float charge on the batteries is extremely important, but the problem is many older and less expensive RV converter chargers provide a constant charge of about 13.5 volts. This charge rate is too high for fully charged batteries and the electrolyte is boiled off over time, resulting in an early death for the batteries. There have been advances in converter charger technology and most newer RV converter chargers are what is referred to as 3- stage chargers. The first stage is a bulk charge used to return the battery to about 90% of a full charge. The second stage is an absorption charge used for the remaining 10 percent. This stage is designed to help prevent battery gassing and loss of water. The third stage is a float or maintenance charge to keep the battery fully charged. The float charge is roughly 13.2 volts and prevents the battery from overcharging. To save your RV batteries and your wallet you need to periodically check and adjust the water level in the RV batteries. This one simple preventive maintenance check can save and extend the life expectancy of your batteries. If you do need to add water to the battery only use mineral free water. Distilled water is best and only fill the battery cell to 1/8 inch below the vent well. Note: Always where rubber gloves and eye protection when working around lead acid batteries. On a side note, the second leading cause for battery failure is under-charging. If the battery is discharged and not recharged in a timely manner sulfate material starts to build-up in the battery. This material attaches to the discharged portions of the plates and begins to harden into crystals. If the battery is not recharged soon enough this sulfate cannot be converted back into active plate material and the battery is ruined. The bottom line is a little routine maintenance and recharging a discharged battery as soon as possible will extend the life of the battery. 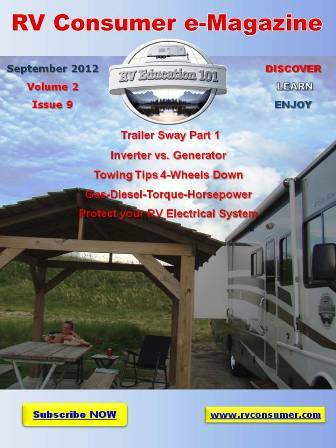 RV batteries can and should last 5-7 years, rather than 1-2 years. Use the money you save on replacing the batteries and JUST RV IT!